You’ve got to love air travel: the purr of the plane to new destinations, the daydreams out the window as the clouds meet the sun; then there’s the tight little squeeze of the lunch tray as you nibble on something that tastes like quiche (looks like quiche, but not quiche! ), trying really hard not to knock the other, protruding elbow next to you, and the robotic bathroom maneuvers you have to pull, to ensure you get in and out fast, before that flush down the toilet takes you with it. Whether it’s a 1 hour, 3 hour or 12 hour flight, why not get off of a plane looking and feeling like Jackie O instead of Jackie oh-my-gosh? Sorbet gives you the low down on flying high, and some quick go-to tips to maintaining your shizzle. You board the aircraft, hair washed and ready to go, you find your seat (is that old man in your seat! oops, no, false alarm – ha ha ha – little nervous laugh), haul your case/s in the overhead locker, then break your new nail and mush up your fringe while doing so. And that’s just the beginning. By the time you’ve landed, juggled 3 different kinds of luggage across the aisle and found your trolley, your hair is flat (or windblown), nails cracked, skin dull and the whole of you is far from selfie ready. So here’s the 411: when you fly, the low humidity levels in the aircraft dry out everything! Your skin, your throat (another water please!) and last but not least, your hair. Not mentioning that little bib attached to your seat that adds to your fashionable helmet look. Before your flight, simply run a dollop of Moroccan Hair Oil through your tresses, from mid to ends. 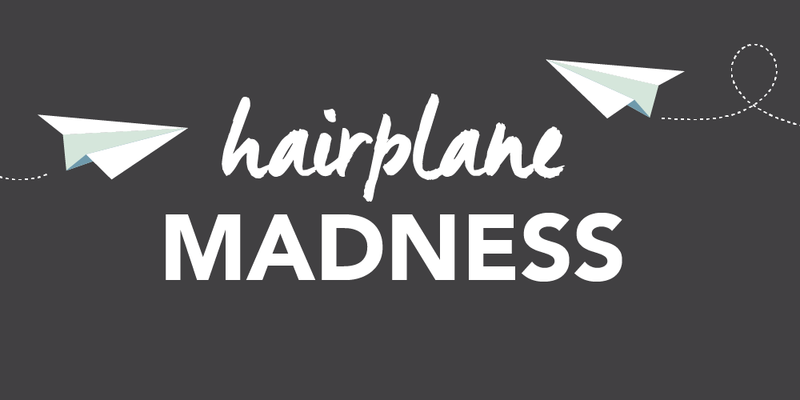 The oil will leave your hair bouncy and hydrated throughout the flight, turning your runway into a catwalk, yes please! Another option that always goes down a charm on landing is to treat yourself to a 45 minute blowout! Quick, slick and fabulous. Our personal favorite is the Espresso blowout at Sorbet DryBar for just R185. It includes a wash, treatment (power head massage) and a hairdo that’s a real showstopper, perfect for any getaway: beach, city, slopes? Sorted! Ask your Sorbet Dry Bar stylist to run you through the awesome blowout menu, for styles to best suit your day. Cue hair swish! Fixing that broken nail needn’t be a mish either. Most hair salons provide a nail service too, and Sorbet Dry Bar is no exception. Your tresses will be blown and/or curled while your nails are being primed and spruced, all at the same time. So there’s no wasted minutes on your trip. And what about your skin? Cabin pressure also boosts your chances of a sneaky blemish popping up – no, not kidding. It’s a good idea to carry a small makeup bag with you onto your flight for touch ups and fix ups. Pack your concealer, mascara, eyeliner, your fave lipstick and of course makeup remover for overnight flights (Sorbet recommends Sorbet Salon Skin 3-in-1 Cleansing Micellar Water 100ml – a goodie! ).